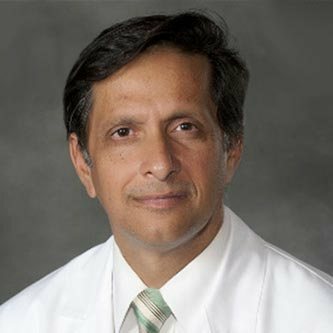 Prof. Arun Sanyal - NorthSea Therapeutics B.V.
Dr. Arun Sanyal is a Professor of Medicine, Physiology and Molecular Pathology at Virginia Commonwealth University School of Medicine in Richmond, Virginia. He has over 25 years of experience as a hepatologist and has served as the secretary and president of the American Association for Study of Liver Diseases, founding member of the Hepatology board of the American Board of Internal Medicine, chair of the NIH hepatobiliary pathophysiology study section and member of the council of the NIH. He has been continuously funded by the NIH for over 25 years. Dr. Sanyal’s research spans two major areas: (1) cirrhosis and its complications, and (2) alcoholic- and nonalcoholic steatohepatitis (NASH). His work informs several recommendations in national practice guidelines related to the management of variceal hemorrhage, ascites, hepatorenal syndrome, hepatic encephalopathy and nonalcoholic steatohepatitis. His work in these areas extends from basic molecular discovery to development of animal models, preclinical evaluation, first in humans to pivotal human trials and then development of practice guidelines and health care delivery and population based outcomes. He has been continuously funded since 1995. Recently, he has helped establish and chair the “Liver Forum” which brings FDA, European Medical Agency, Academia, NIH and industry stakeholders in NASH and hepatic fibrosis together to accelerate therapeutic development in these areas.